Unfortunately, smart water meters that provide “near real time information” would also entail the same risks that are associated with the City’s recently installed smart electric meters, including additional radiofrequency (RF) exposure, invasions of privacy, data security issues, and concerns over meter accuracy. According to Mr. McNabb, “It’s like an electronic cash register for the utility. But it could also be a tool for Big Brother,” a reference to the totalitarian figurehead of George Orwell’s novel, 1984. McNabb said that the concern about Big Brother is also a big one. He said that the water department’s staff could learn what time of day you take a shower, when you are at home, and when you’re on vacation. City and utility priorities trump environmental and health considerations as well as customer privacy interests. Water Conservation and Restrictions: When water conservation moves from being a priority to a necessity, smart water meters allow water utilities to react quickly to government mandates for water restrictions and to efficiently identify violators. It facilitates this process by providing utilities the ability to view customer usage on an hourly basis, allowing them to detect excessive flow on “off” days. Leak Detection: Utilities can minimize the problem of leaks on the customer side. Leak detection-enabled smart meters allow utilities to identify continuous water usage over specified periods of time. When continuous usage is detected, the system sends leak alerts so the utility can notify the customer about the potential leak. The above advertised “features” for smart water meters means that you would be subjected to constant surveillance. Combined with the data collected from the smart electric meters, an even clearer picture emerges on your behaviors in the home. Before, if you had a gas-fired hot water heater, you could at least take a shower without anybody knowing. Now, incremental water usage monitoring would make that no longer possible. We don’t want more behavioral surveillance conducted by our City government and others beyond our control. When will the onslaught against our rights end? When will it stop? Will there be opt-out provisions? How much will it cost? It is important to note that Memphis Light, Gas and Water (MLGW), one of the nation’s largest municipal utilities, serving nearly 421,000 customers, recently agreed that there would be no fees for its customers requesting to an opt-out from having a smart meter. MLGW is in the process of installing smart meters for all services including gas, electric, and water. The policy of not being forced to have a smart meter applies to all three types of meters. For more information, refer to the following blog posting: http://skyvisionsolutions.org/2013/10/03/no-opt-out-fee-in-memphis/. If a large municipal utility like MLGW can offer no fee “opt-outs,” why can’t Naperville? Is it not compassionate enough or does its City Council members not care enough about the rights and well-being of its citizens? Finally, here is a short video reporting on a situation where wireless water meters are being deployed in San Fransisco. Courtesy: KGO-TV in San Francisco, CA. 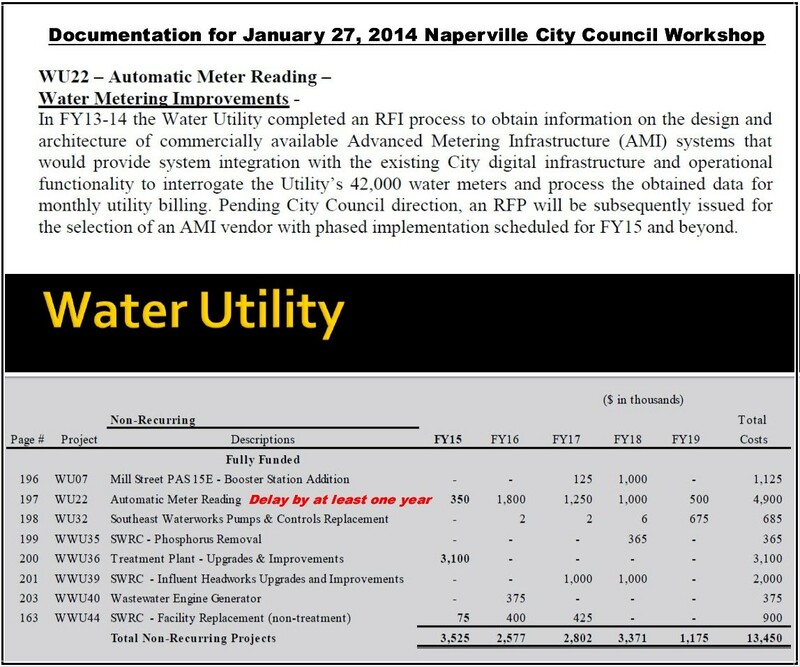 Update: Primarily of interest to the residents of the City of Naperville, Illinois, the Naperville City Council decided in January 2014 to delay the smart water meter project by at least one year to allow time to get all the “kinks” out of the recently implemented smart grid initiative for smart electric meters. The video below provides excellent background material on what is eventually planned for Naperville. 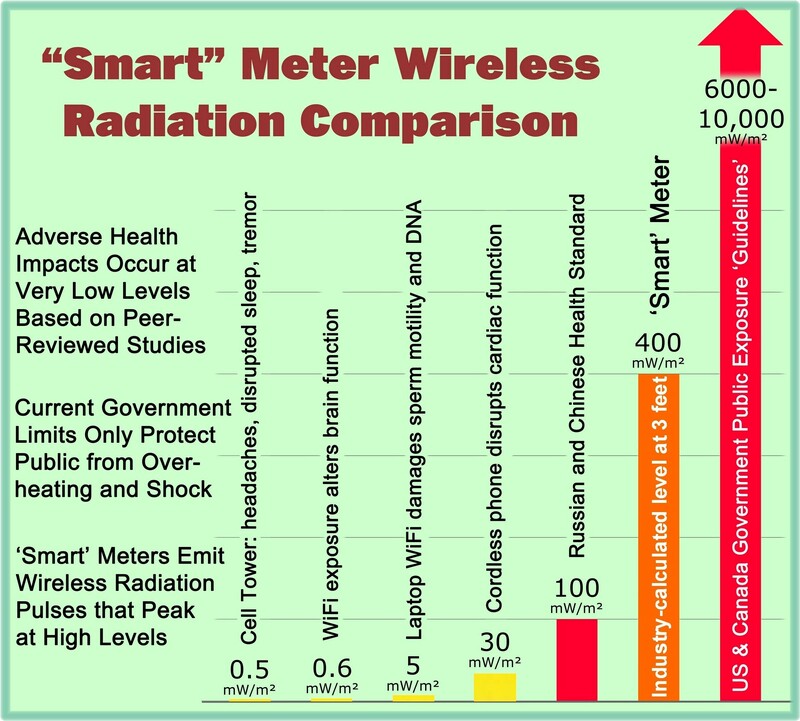 This entry was posted in Smart Grid, Smart Meters, and RF Emissions and tagged Health Effects, Privacy, RF Emissions, Smart Meters, Smart Water Meters. Bookmark the permalink.